Howard W. French is an Associate Professor at the Columbia Journalism School, where he teaches journalism and photography. He was a freelance reporter for The Washington Post, and many other publications, in West Africa. He was then hired by The New York Times and worked as a metropolitan reporter for three years; from 1990 to 2008, he served as Bureau Chief for Central America and the Caribbean, West Africa, Japan and the Koreas, and China in Shanghai. From 2005 to 2008, alongside his work for The Times, French was a weekly columnist on global affairs for the International Herald Tribune. His work was twice nominated for the Pulitzer Prize and he was twice the recipient of an Overseas Press Club Award. He has also won the Grantham Environmental Award, among other honors. His work has been published in The Nation, The New York Review of Books, Transition, Rolling Stone, The New York Times Magazine, The Chronicle of Higher Education, The Crisis, and Travel and Leisure. He is also a documentary photographer and his work, "Disappearing Shanghai," has been displayed in Asia, Europe, and North America. French is the author of China's Second Continent: How a Million Migrants are Building a New Empire in Africa (Alfred A. Knopf, 2014), which was named one of the most notable books of the year by The New York Times, The Economist, The Guardian, and Foreign Affairs. He is also the author of A Continent for the Taking: The Tragedy and Hope of Africa (Alfred A. Knopf, 2004) and Disappearing Shanghai: Photographs and Poems of an Intimate Way of Life (Homa & Sekey Books, 2012). 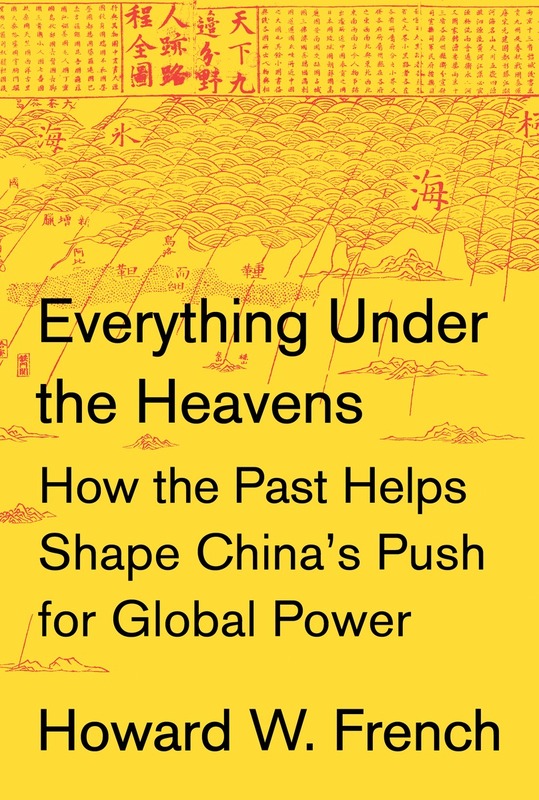 French was a 2011 fellow of the Open Society Foundations and is presently completing a book for Knopf about how Chinese history shapes its attitudes toward geopolitical power. He received his B.A. from the University of Massachusetts, Amherst, and has been awarded an honorary doctorate from the University of Maryland.